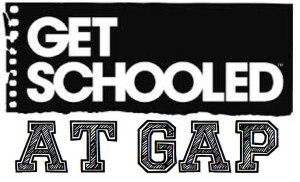 On September 29, GAP, our Senior High Youth Ministry, sponsored an event called Gettin’ Schooled. Gettin’ Schooled turned out to be a big success and a blessing to our students. It was an “in-reach” event designed around the thought of the students going back to school and how to spiritually equip them in this. We did this in three ways: food, fun competition, and electives. After the competition students then got to go “get their schedule” for the electives they had chosen. The electives they chose from were Quiet Time 101, How to Start a God-Movement at Your School, Standing up Without Standing Out, Study Skills 201, Stress Strategies and Prioritizing, How to Not Be a Follower, Dealing with Temptations, and Developing Friendships with Non-Believers. The students were really excited to get their schedules and the feedback from the teachers was that students were very involved. Our prayer was the students and staff alike were blessed and encouraged in their faith by attending the event and above all that God received all of the glory. Please be in prayer for our students as they continue to grow in their faith and be a light for Christ in their schools.